Home News & Features Myriad Genetics Expands CDx Collaboration with AstraZeneca, Merck & Co. Myriad Genetics said today it has expanded its companion diagnostic collaboration with AstraZeneca and Merck & Co., which have agreed to use Myriad’s BRACAnalysis CDx to identify men with a type of prostate cancer in a Phase III trial. 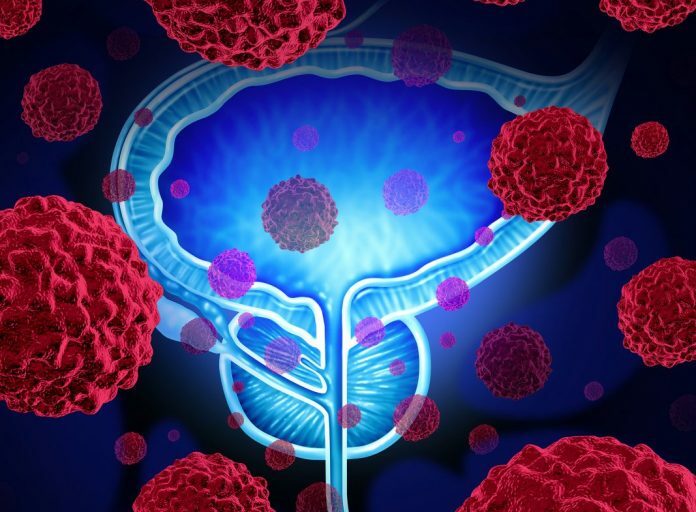 BRACAnalysis CDx will be used to identify germline BRCA mutations in men who have metastatic castrate-resistant prostate cancer (mCRPC) in the Phase III PROfound trial NCT02987543. AstraZeneca and Merck are partners in the study, which is designed to compare their co-marketed poly ADP-ribose polymerase (PARP) inhibitor Lynparza (olaparib) to the Astellas Pharma/Pfizer-co-marketed Xtandi (enzalutamide) or Janssen Biotech (Johnson & Johnson)’s Zytiga (abiraterone acetate) in men with mCRPC. Those patients must have also failed prior treatment with a new hormonal agent (NHA) and have a qualifying tumor mutation in one of 15 genes involved in the homologous recombination repair (HRR) pathway. Approximately 340 subjects will be randomized in the study 2:1 to Lynparza and an investigator choice of Xtandi or Zytiga. If the study is successful, Myriad said, it intends to file a supplementary premarket approval application with the FDA seeking approval to use BRACAnalysis CDx as a companion diagnostic to Lynparza for the patient population covered by the trial. Myriad and AstraZeneca have partnered on the companion diagnostic since 2007, and have received multiple regulatory approvals for BRACAnalysis CDx. Most recently in February, The Japanese Ministry of Health, Labour, and Welfare approved BRACAnalysis CDx as a companion diagnostic to identify patients with germline BRCA mutated (BRCAm) advanced ovarian cancer who are eligible for first-line maintenance therapy with Lynparza. It was Japan’s second companion diagnostic approval for BRACAnalysis CDx; the first came in March 2018, to identify patients with germline BRCAm metastatic breast cancer who have been previously treated with chemotherapy and are eligible for treatment with Lynparza. Advanced germline BRCAm ovarian cancer who have been treated with 3 or more lines of chemotherapy and are eligible for treatment with olaparib (December 2014). Recurrent platinum-sensitive germline BRCAm ovarian cancer who are eligible for maintenance treatment with olaparib (August 2017). Germline BRCAm metastatic breast cancer who have been previously treated with chemotherapy and are eligible treatment with olaparib (January 2018). Germline BRCAm advanced ovarian cancer in complete or partial response to first-line platinum-based chemotherapy and who are eligible for first-line maintenance treatment with olaparib (December 2018).